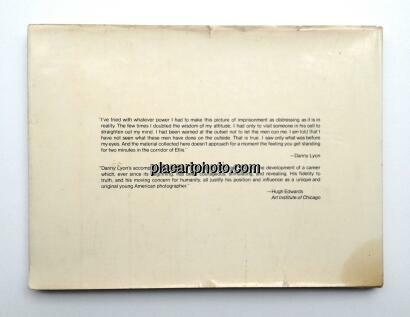 In 1967, Danny Lyon turned his camera toward life in American prisons. 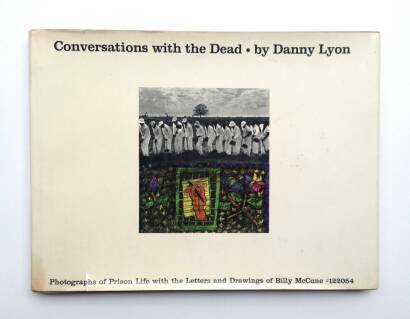 Conversations with the Dead reflects fourteen months he spent looking and listening inside six Texas penitentiaries. Free to enter the prisons at any time of day or night, Lyon moved among the prisoners as they functioned in groups, and as they existed in isolation. 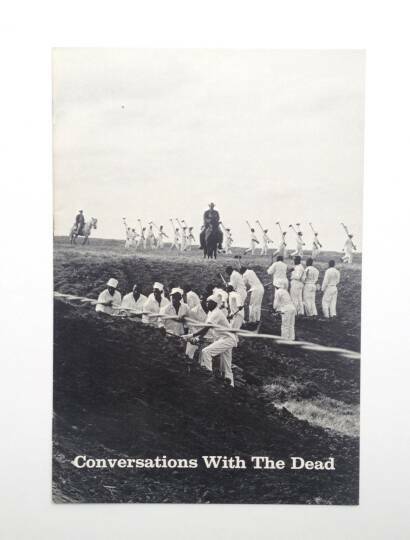 He photographed men in their cells, in the fields, working, eating, daydreaming - passing so much time. Befriending them, he records the personal testimonies of their lives and the official documents which condemn them to living death. 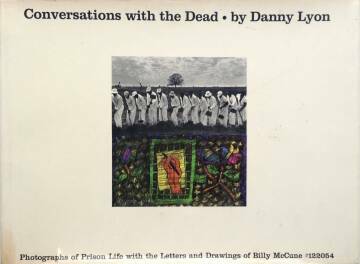 In the course of his unprecedented journey through the Texas prisons, Lyon met Billy McCune. A forty-two, McCune had already served eighteen years of a life sentence. He is a monument to the human spirit : a survivor of wretchedness unbounded ; a victor over despair so great that he castrated himself. Billy McCune's paintings and writings reveal a compassionate concsciousness which confounds the "justice" which brands him "criminal." "I've tried with whatever power I had to make this picture of imprisonment as distressing as it is in reality. The few times I doubted the wisdom of my attitude, I had only to visit someone in his cell to straighten out my minde. I had been warned at the outset not to let the men con me. I am told that I have not seen what these men have done on the outside. That is true. I saw only what was before my eyes. And the material collected here doesn't approach for a moment the feeling you get standing for two minutes in the corridor of Ellis."